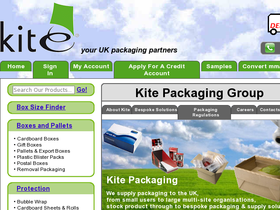 The packaging store at thepackagingstore.co.uk is one of the UK's fastest growing online suppliers. euVouchers is your source for all the latest and top Packaging Store promotions offered from thepackagingstore.co.uk. ThePackagingStore.co.uk offers a wide variety of packing tape from standard to Fragile-printed, they start for as low as £0.33. Look for environmentally friendly biodegradable bubble wrap at ThePackagingStore.co.uk and you'll find it for as low as £22.50. The more you buy from ThePackagingStore.co.uk, the more you'll save with their great bulk discounts. When you spend more than £90 at ThePackagingStore.co.uk you can get an additional 5% off with this voucher. You can now get an extra 10% from ThePackagingStore.co.uk when you spend more than £125. Spend more than £90 at ThePackagingStore.co.uk and you'll be eligible for free 3-4 day standard delivery. Visit the Special Offers section on ThePackagingStore.co.uk and you will find discounts up to 30%.